« LOST Countdown – 2 days to go! There are so many great shows on tonight – I have no idea how I’m going to watch everything (even with 2 DVRs)! ABC has an all new episode of THE BACHELOR – The gang heads to San Francisco with one lucky lady getting a trip to Napa Valley. After tonight, it’s down to 4 women, all of whom go back to visit their families in next week’s episode! Over on CBS, the whole night is new– on HOW I MET YOUR MOTHER, Barney decides to try to sleep with 7 women in 7 days, to complete the “Perfect Week”! On ACCIDENTALLY ON PURPOSE, Billie gets Zack to do chores around the house and Davis gets a job at a gay bar. FOX has an all new episode of HOUSE – Foreman’s brother (guest star Orlando Jones) visits. The case of the week has a college football star with a variety of symptoms that’s going to keep him from an NFL tryout, among everything. NBC has an all new episode of CHUCK! Chuck trains Hannah (guest star Kristen Kreuk) at the Buy More, and he has to handle a new asset. Awesome tries to keep Chuck’s secret, but isn’t a very good liar. Over on The CW, catch an all new episode of ONE TREE HILL – the show pays homage to John Huges with nods to 16 CANDLES, HOME ALONE, and PRETTY IN PINK. There’s a new episode of THE SECRET LIFE OF THE AMERICAN TEENAGER on ABC Family – George tries to woo Anne. Ben and Grace grow close, and Adrian and Ricky babysit for John! On ABC, THE BACHELOR: ON THE WINGS OF LOVE (seriously with that long title?) continues until 10. CBS has new eps of TWO AND A HALF MEN and THE BIG BANG THEORY. On 2.5, Alan gets arrested. Over on TBBT, Sheldon gets a job at the Cheesecake Factory when his real job slows down. NBC has an all new episode of HEROES – Peter tries to save Sylar. 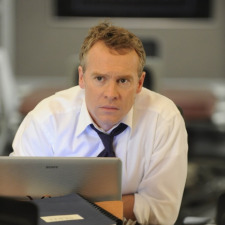 FOX airs an all new hour of 24. Renee goes deep undercover, Chloe gives Arlo his comeuppance, and Hassan family turmoil threatens the peace talks. The CW has the next all new episode of LIFE UNEXPECTED. When Baze’s parents decide they want to meet Lux, we get so see the most awkward family dinner ever. Cynthia Stevensen plays Cate’s mom, and she is just AWESOME! In other news, Cate transfers Lux’s school without her knowledge or consent and causes all kinds of problems! Over on ABC Family, MAKE IT OR BREAK IT has a new episode that has Payson shocked by a romantic gesture. Emily doesn’t hear from Damon and worries, and Kaylie fights her attraction to Nicky. Meanwhile, Summer and Sasha (= true love) clash over gym problems. There’s also an all new episode of INTERVENTION on A&E and TRUE LIFE…my relationship is at a crossroads on MTV. ABC has a rerun of CASTLE. Castle and Beckett work on one murder while Esposito and Ryan work on another. Castle bets them that he’ll solve his first, when the two cases suddenly become intertwined! CSI: MIAMI is all new – Anthony Michael Hall guests as a criminal on death row, and he is granted a 24 hour stay of execution while the Miami CSIs work to prove if he’s innocent. Over on NBC, LENO is all new. GREEK is all new on ABC Family – Ashleigh helps Rusty get a date at a geek auction. Casey has to save ZBZ and Rebecca and Cappie fight over the remaining open spot in a class they want. On FX, episode two of DAMAGES airs! Joe goes back and forth between family and integrity. The fallout of the big death reveal at the end of Episode 1 is explored, and we learn of even more shocking relationship news in the future! Showtime has another episode of TRACEY ULLMAN as well as the season 3 premiere of SECRET DIARY OF A CALL GIRL. On TRACEY, she impersonates Candy Spelling, Matthew McConaughey, and the pharmacists Pradma! On SDOACG, Belle goes incognito to her book release party, and her editor tries to get her to write a follow up. In her “real life”, Jackie (her sister) moves in when she finds ou t her hubby cheated on her. This season is SO good – you MUST WATCH! The is followed up at 11 by another ep of LALA LAND. On TNT, an all new episode of MEN OF A CERTAIN AGE has Joe’s bookie exploiting Joe’s golf skills. Owen gains too much weight, and his family starts to worry. Meanwhile, Terry moves, but struggles with being in charge. HOARDERS is all new on A&E. MTV has a new episode of THE BURIED LIFE and MY LIFE AS LIZ. On TBL, the boys try to get to a red carpet to ask Megan Fox on a date; on LIZ, Liz faces a lot pressure as the talent show nears. …and you can’t rely on Tuesday to catch up as I’ve heard you mention once or twice that some show is returning tomorrow night…if I could only remember what show it was….